According to INN, the Left is concerned that there is a takeover of the IDF going on by the religious. All I have to say is that they started a process of bringing more and more religious people into the army, they will now reap what they sow. If they did not want so many religious people in the army, moving into leadership positions, they should have left the system alone. They thought they were fixing it, and it turned out not to their liking. Oh well. You can't have everything. That's what I was always told. the Left can't have all the religious in the army, btu still retain control and run the army the way it used to be. The more religious people that join, the more religious people there will be moving into the running of the army. I was surprised to learn how, good of a move as it is, this law is almost insignificant as it affects such a small amount of the people refusing to give the get..
someone who talks like this from the Knesset podium, shouldnt be allowed to serve as an MK. He clearly is saying he isn't part of Israel. Funniest part is at the end where he mentions the Israeli government rule of apartheid - an Arab MK claiming apartheid from the Knesset podium. weird but cute ad for higher education in the Haredi sector..
Well, Israel might soon have a law about that. MK Chaim Katz (Likud) has proposed a law, that passed the Legislative Committee and is now being prepared for voting int he Knesset, that would obligate employers to respond in writing to candidates that were interviewed for a position. Katz proposes that an employer would have to respond in writing within a week of a decision being made about the candidates status, if his candidacy is being rejected (obviously if the candidate is being hired the employer will inform him/her). As well, if the employer is sifting through candidates for a position, the employer must inform the potential candidate within 90 days of the advancement of his status. If he does not, a fine can be levied on him of 5010nis (5010?). Meaning, it is not just rejected candidates that are left hanging in limbo. Sometimes it takes a long time to compile enough candidates for a job, or maybe the position is not immediate, and they leave all the candidates hanging, even though they are still in the pool. Now, if the law passes, employers have to let the candidate know what his status is, for good or for bad. The Jewish State or State of all its Citizens? Disclaimer: I don't have a strong opinion about the Jewish State bill. Overall I am in favor of it, but I don't understand it enough to have a strong opinion. It is not clear to me what it does. I am not sure why it is needed now. I am not sure what changes because of it (seemingly very little). Hiowever, based on the opposition I hear about it making Arabs second class citizens, and I am not sure hat is true, I would say Israel is not meant to be another United States of America. Israel is meant ot be a homeland for the Jewish people. The form of governance is democracy, but it is meant to be a Jewish State, not a State of all its peoples. Obviously (or maybe not so obviously), all people living in Israel should have their rights protected and have full freedoms, but this is meant to be a Jewish State, not a State for all. If that turns some minorities into "second class citizens", whatever that means, so be it, as long as their rights are safeguarded. The Vatican is a Catholic State. 22 Arabs countries are Arab or Islamic States. Many other countries are ethnically or religiously categorized, and Israel should be allowed to categorize itself as well. Growing up, I always thought, or was told/taught that the names of each parsha in the Torah are not really significant on their own, or at best they are significant in a very limited way. It seemed that the name of the parsha was basically chosen by being the first major unique word in the parsha, maybe with the occasional exception. It was a surprise to learn, through Blueprints of Breishis, that the name of the parsha is not just the first major unique word but is actually extremely significant, is loaded with meaning all on its own as a name, and itself also has what to teach. Blueprints of Breishis, published by Mosaica Press, is a thorough analysis of the theme of each parsha. Many of the parshiyot have multiple "stories" and lessons, each often seemingly independent of the other. In this book, the author analyzes and shows how each separate story, each separate lesson, is really a continuation of the theme of the parsha, and how they are all thereby connected. Blueprints of Breishis analyzes a wide range of sources, from the midrash, rishonim, talmud, etc. in order to discover and develop the theme that runs through the parsha. In addition to the theme of each weeks parsha, the author shows how there is a larger theme that runs through the entire Sefer Brieshis, from parsha to parsha. While one could read the analysis of each parsha as an indivdual parsha and learn the theme and lessons from each parsha, reading the entire book will give you a much broader picture of the theme running through the entire sefer, and how each parsha is connected to the one following it, and the one preceding it. And, how how all this is revealed in the name of each parsha. As a bonus, at the end of each chapter, the end of each parsha, Blueprints of Breishis has a section, a page or two, explaining the meaning of many of the names of the individuals that were in the parsha. For me this was mind-blowing. I am amazed that such a theme could be developed, and wonder at how much time and work it took to go through the sources and pull out the relevant nuggets and connect the dots! I don't think I am unique in saying that much of my learning of the parsha and chumash was at a day school level, with later learning only coming in cursory fashion, mostly by being maavir sedra or even going through the parshiyot with rishonim or achronim but not in a deep and methodical way. Blueprints of Breishis is really an eye-opener. It is amazing how much mroe there is, and how much is hinted to, even in just one word; the name of the parsha. I am happy to see that Minister of Interior Gilad Erdan has taken my advice. Just a few days ago I suggested one of the ways to punish terrorists that might be effective as a layer of deterrence would be to banish the families of terrorists from Israel, ala Yitzchak Rabin, and take away any social rights they have. Sure enough, 2 days later, Erdan has announced that he is banishing the families of the Har Nof terrorists and revoking all their social benefits. Unfortunately they are being banished to Gaza. In Gaza they will surely be fast-tracked to radicalism and join Hamas or whatever other groups train kids to be martyrs. They should be banned from Gaza and Israel, and should be banished to somewhere like a Lebanese hilltop, Syria, maybe even Jordan, if not further away (the North Pole?). It is clear that with all the declarations about changing the law and the status quo, there are no such plans in actuality, but the declaration itself does something in the Muslim world. .. the job of the police is to safeguard the rights of everybody, and not just of the Jews. -- Police Chief Yochanan Danino, when saying that in his opinion all MKs should be barred form Har Habayit and he especially criticized Feiglin for going up and causing a provocation with his presence. 1. they need to safeguard everybody's rights and not just the rights of the Jews. But shouldn't they also protect the rights of the Jews and not just the rights of everyone else? 2. what right's of everyone else are being protected here? The Arabs have a right to not allow Jews to go to Har Habayit, let alone to pray there? The Arabs are allowed up with almost complete freedom to do as they wish. What right of theirs needs protecting? Netanyahu coined a nice expression - according to the Left, if you didn't evacuate [a Jewish community] you didn't do anything..
what a weird style. very coarse. all that cat-calling. strange. anyways, skip over to 16:45 and MP Gerard Kaufman asks about Israel's Jewish State bill, and PM Cameron supports Israel very nicely..
nice voice. this is the nephew of Dr. Michael Ben-Ari, former MK. I'm a turtle without a shell, you've removed my roofA fish without water, searching for you in vainBitter like wine, trapped like a lion in a grateA cloud dripping water, I don't even get wet.I ran from you to myself - and I found nothingI stand at the door, and still don't dare knock.Autumn in my eyes, I wander like a vagabondA sign of Cain on my forehead, searching for you in vainIn the field for now, you're dressed as a simple personWithout a cloak, without heaven, hidden G-d unseen.I ran from you to myself - and I found nothingYou're on the other side of the door, trying to stay quiet.Don't hide your face from me, you were my hopeFor I am sick with love, don't hide your face.I ran from you to myself - and I found nothingI stand at the door, and still don't dare knockI ran from you to myself - and I found nothingRoar at the doorstep, you suddenly emerge. this is some show in which they create a problem and check the service repairmen to see who is honest, professional, knows what they are doing, etc. the first technician in this episode is a hassidishe fellow (looks Breslav to me, but I don't really know)... how did he come out? I'm surprised that it was only religious and Haredi MKs involved in this, but at least they stepped up. Israel transfers to the PA money it collects in taxes for the Palestinian Authority. Israel has frozen 22,000,000nis from the time of the war, and MKs want to use that money to cover some of the debt held by the Electric Company for unpaid bills by the Palestinian Authority. Beyond that, these MKs are disturbed by the fact that the PA pays money to terrorists jailed and their families. They pay millions of shekels per month out to the families of 6000-7000 terrorists. Each terrorist receives from the PA 3500nis per month. This is higher than the average salary in the Palestinian areas. Financially, this gives them incentive to commit terror attacks. The MKs, Mozes (UTJ), Zeev (Shas) and Strouk (habayit Hayehudi) filed a petition with the Foreign Affairs and Security Committee of the Knesset for an accelerated debate on the issue. At least someone isn't sleeping on the job It is incomprehensible that Israel should pass along money it knows in advance is going to be used for supporting terror. are we headed back to direct elections? I don't like the current electoral system, and I believe it should be changed. However, I do not like the idea of changing it, like any law, just to help or hurt a specific person. It should be changed in order to provide a more stable and efficient system of governance, not to promote a specific candidate, help his chances, or hurt a candidate's chances. That si why I do not like the new proposal by MK Amir Peretz (Hatnua). Peretz is worried that in the current electoral system, Naftali Bennet has a reasonable chance to become Prime Minister of Israel. In some constellation, his party could become the largest party, and then he would be appointed to hobble together a coalition. In a direct electoral system, where the people have to vote for the specific prime ministerial candidate, Bennet does not have a chance, according to Amir Peretz. The assumption being that the 20% support he has is his limit, or close to it, and that's not nearly enough to win enough votes to become prime minister. So, Peretz is working to change the electoral system back to the one in which elections for prime minister are direct elections. To remind you, this was done before and deemed a total failure. It accomplished the exact opposite of what its goals were. It was mean to be the first stage of an overall change to full direct elections and thereby create more stable government, with the small parties being knocked out entirely and more power given to the large parties. The direct elections effected in reality a situation in which people could vote for their preferred candidate, and still support their preferred party, and they gave even more power to the small parties. When the large parties suffered from the change, they quickly reversed the decision and went back to the old system. What I think they should have done is go immediately to stage and complete the electoral reform, but they didn't. So, Amir Peretz, because he wants to hurt the chances of one potential candidate, wants to change the entire electoral system to one that everybody already admitted was an even worse system. It is also interesting that he thinks Bennet's chances of becoming prime minister are good enough that this must be done. Amir Benayoun is under fire for his latest music. Some, including Professor Kremnitzer, are claiming that Benayoun's song is incitement to racism and to attacks on Arabs. the response was fast in coming, with the Director fo the President's House canceling Benayoun's upcoming performance that was set to take place next week in front of the President.because his words, though coming from emotion and pain, "do not help calm things down, to put it mildly", and does not fit in line with the work of the President to lower tensions. Benayoun responded by saying he respects the presidency and loves Rivlin and is happy he is the President of Israel, while Minister Uri Orbach said if Benayoun's performance is canceled, he will reject his invitation tot he event. I am impressed with Benayoun's ability to be inspired and produce a song so quickly after an event, with regularity. Considering that he did not call for murder or to attack Arabs, but just spoke of what had happened and what the atmosphere is, I am surprised he is being treated the way he is. It seems people cannot talk about arabs in Israel anymore and what they do without it being called incitement. It is important that the atmosphere of replacing Netanyahu should be true. I think there are many worthy and good women fitting to replace Netanyahu and I do not rule out myself. is he counting himself as one of the worthy women, or in addition to the women he thinks he himself is also worthy? Tzippi Hotovely has put together a program working in coordination with all the gas stations... if you are driving during the night, between midnight and 6am, you can stop in any gas station an dget a cup of coffee for just 1 shekel! The goal is to minimize road accidents. Post by ‎Tzipi Hotovely - ציפי חוטובלי‎. Peres looks a little disoriented..
With sufganiya season upon us, the Eida has released its donut guide, to ensure you know what you are buying, under the Eida hechsher. The Rabbanut released its donut guide a few weeks ago.. The Eida guide is fairly simple. 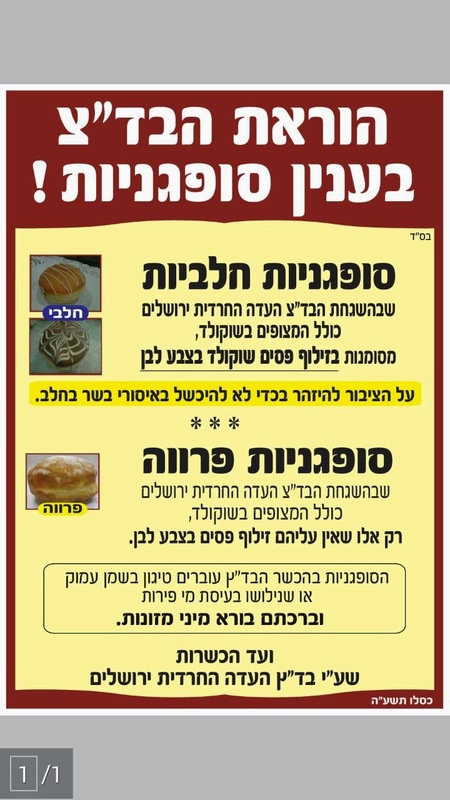 Any sufganiya under the Eida hechsher, no matter what filling is inside the donut, will be pareve if there are no frosted lines atop the sufganiya. Even chocolate frosting is pareve, if there are no lines on it. Any Eida sufganiyot that have frosted lines across the top will be dairy. Additionally, all Eida sufganiyot will be mezonot, as they are either deep fried or made with fruit juices. The big salvation for the people who keep what they call "shmitta l'chumra", i.e. not touching any produce from Jews in Israel but only non-Jewish (aka Arab) produce, or imported produce, was supposed to be the initiative by some involved with the Eida to grow produce in Jordan and bring it in. They bought/rented the land, set up the farm, created a system with mashgichim being sent from Israel, and this would create a system of Jewish produce that is imported, instead of local Arab produce (that is usually lower quality and has the problem of supporting the Palestinians). All was good until it no longer was. The Jordanians are now making trouble for them. In this time of political tension and terror, the Jordanians seem to be leaning to support the Palestinians over Israel, even at the expense of the peace treaty. Everything was working nicely, with the mashgichim coming and going, until the Jordanians put new regulations into effect this past week. According to the new regulations, Israelis can no longer enter Jordan as individuals, but only in groups of 6 or more, along with being accompanied by a policeman and a guide during their entire stay in Jordan.. This regulation will definitely hurt their tourism industry, but more to our point, mashgichim can no longer go check out what they need to supervise, unless they go in large groups. They now lose their element of surprise, as well as requiring travel coordination with a large group, rather than one or two being able to go do their work on their own. I am not sure what these mashgihchim are even needed for. If they already set up the farm, they already ensured it is outside of halachic Israel. Meaning, there are no shmitta issues, mashgichim are not needed for the purpose of tithing and separating truma. The produce is natural, so manufacturing or ingredients don't need supervision. Why do mashgichim need to go to Jordan to check out tomatoes and lettuce? Maybe to ensure that the vegetables are bug-free, assuming they grow them by bug-free methods? I feel bad for the investors who put a lot into this initiative. It looks like they are going to take a hit just because they thought the Jordanians are trustworthy and want Israeli business.. According to this Times of Israel article, Israel has not yet given the bodies of the Har Nof terrorists to their families for burial. Israel is deciding what to do - perhaps not give over the bodies at all, as punitive punishment for the terrorist attack. The families of the terrorists are demanding the bodies, saying that Israel can punish in other ways, even destroying their houses, but they must have the bodies for burial, rather than the Israeli government burying them. What do you think should be done with the bodies? In my opinion, I think they should definitely not be given back for burial in a way that will give them a hero's burial. Meaning, even if the bodies are returned, it must e with restrictions, as has been done in the past as to how many can attend the funeral, when the funeral can take place, and maybe even where they can be buried. I would also even be in favor of not returning the bodies, against the families wishes, and having them buried or destroyed in an unknown location. I also think that perhaps while Interior Minister Gilad Erdan made a good move revoking the citizenship of that Eastern Jerusalem resident who had been involved in the Dolphinarium attack, it wasn't quite enough. Doing this so long after the attack does not really effect much deterrence. True, he was not Minister of Interior until now, and maybe now such measures will be taken quicker, I still think it is not enough. What might be better is to revoke citizenship or resident status of the terrorists, and their families. And maybe even of the entire neighborhood or village they live in. Another option would be to do what Yitzchak Rabin did once - Rabin, in 1993, banished 400 Palestinians to Lebanon. We could do something like that. Terorists, their families, maybe their communities, could be banished from Israel. Maybe not even to Lebanon, or Canada, but even to Palestine Authority territory, like Ramallah or Nablus. If they support them against Israel, they can go live there. What would be an adequate punishment that would effect deterrence? MK Amram Mitzba (Hatnua) proposed a law the other day suggesting that Yom Haatzmaut be celebrated permanently on a Thursday, instead of a date-based day. Mitzna explains that because of all the adjustments, Yom Haatzmaut only actually falls out on the original day. 5 Iyyar, when 5 Iyyar lands on a Wednesday. If it lands on any other day of the week it is either pushed forward or back. Mitzna says it would be more appropriate to set a permanent day - the Thursday of the week in which 5 Iyyar falls on any given year, no matter what day of the week 5 Iyyar actually lands on. Rabbanei Tzohar, I assume led by Rav Dovid Stav, have voiced opposition to this law. Being that they are not politicians, nor are they officially connected as rabbinical guidance to any specific political party, I am not sure how their opposition is going to influence this proposal. Rabbanei Tzohar are opposed because they say 5 Iyyar was the day established because according to Jewish tradition the original Hebrew date on which an event happened is the day established for generations as the day of hallel and celebration. The only acceptable reason to change it is to avid situations of chilul shabbos. Changing the date of the celebration, they say, will effect a change in the holy values behind the date in halacha. Another problem, they say, is that it might cause the day to be split with different communities celebrating different dates. A beautiful letter was put out signed by the widows of the terror attack in Jerusalem calling on people to show love for each other and to be united and friendly. It is a nice call to action, and it is really something that should be improved on all year long and not just after a brutal terror attack, but it does bother me a bit. But not as much as it bothers someone else. The call bothers me a bit because I happen to know that it was not from the widows. It is a letter that was brought to them to sign. It is nice content, so they signed. The widows have not yet met and sat together to talk about anything, let alone to collude on a letter. This is someone's agenda, and he is taking advantage of emotions to put it out there. The justifying factor, and why it does not bother me too much, is that nobody seems to be gaining personally from it and it is a nice message, one that we should be working on all the time anyway. Dov Halbertal is a Haredi lawyer. He is really more than just a lawyer, as he is an askan, and is a person who puts himself in the public eye on behalf of the Haredi community. Halbertal wrote an op-ed blasting the letter above. I was surprised because I had not seen any criticism of the letter until Halbertal's, and it seemed as the the people accepted the call and were spreading the message. Halbertal's problem with the letter, while acknowledging that it is unknown who is really behind it (meaning, he knows it isnt the widows really behind it), is that it comes from a spirit of liberalism blowing through the country in recent years. Halbertal links the letter to previous other calls by mothers, fiances, girlfriends and widows. It started in the secular community with the "Four Mothers" that effected the pullout from Lebanon due to their vocal protests. It moved to the Dati Leumi community the three mothers [of the kidnapped boys], and the fathers were practically not heard from. He even points to one of the mothers who said kaddish publicly, against halacha he says, and was publicly praised for it. And they have remained in the public eye, being invited to participate in events around the country. Then it continued through the war in Gaza, Protective Edge, during which mothers, sisters and fiances were located to talk about their soldiers who had fallen or been injured. And now, seeing this new letter from Haredi widows, Halbertal says it appears that this liberalism is spreading to the Haredi world. He forgets, or neglects, to mention the mother of the missing yeshiva boy in Jerusalem this past year who put out calls for the public to bring in Shabbos earlier than normal. It is liberalism in Halbertal's eyes just because it is women speaking out. He'd prefer they just stay quiet. The saying used to be children were meant to be seen and not heard. In Halbertal's eyes, and according to him in the Haredi world's eyes, women were meant to be seen and not heard. Actually, they are not meant to be seen or heard. Anything beyond that is evil liberalism. The women have a voice too. The mothers, the widows, the daughters, the sisters, the fiances - they all feel pain too, and they can express it as well. The women are not saying anything against the beliefs of their community. They are even using their positions and emotions to strengthen the message of the community. It is just bad because it is women who are saying it. They have what to offer in their expressions of faith, in their encouragement of the public to behave certain ways, to increase faith, and it is not bad that they finally live in a time where they can speak out, if they want to. Hatzalah Bet Shemesh put out an important notice. Due to the current security situation in Jerusalem, we have been advised by our Rabbonim that we will not be using our Shabbos goy this week. Therefore, due to an issue of Techum Shabbos, should you believe that there will be a need for you to go to the hospital on Shabbos, you should prepare any items you plan on taking with you to the hospital before Shabbos, and making them hefker. 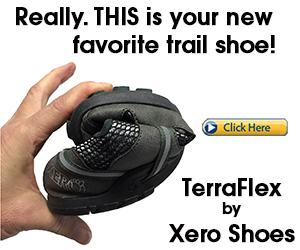 The "hefker" issue seems like a loophole innovation. Make your stuff hefker, privately of course so nobody else should claim your stuff, take it with you, then reclaim it when you arrive in Jerusalem? Regarding the main point, it might perhaps be time to start training other non-Jews, besides for Arabs, to be ambulance drivers. Then they would be able to continue employing the non-Jewish driver while not compromising security. I guess we will see how long this lasts for. Is there a purpose in getting rid of him for one week? Maybe that assumes things will calm down quickly. If not, I imagine this announcement will be extended until the situation does calm down. One of the immediate results of the brutal terror attack in Jerusalem the other is a higher level of consciousness regarding security. People are pressuring police to check constructions sites or gathering spots for Arab workers, and make sure all workers are legal and safe. In Ashkelon the mayor said he won't allow Arab workers, which might be impossible and a bit overboard, but that's what he said. The number of security guards will surely be increased in public areas. Most interestingly, the Rav of Ramot D, Rav Mendel Fuchs, has instructed his congregants that for safety purposes they should come to shul with their cellphones in their pants pockets, in case something should God forbid happen. If there is any question of a safety issue , the police should immediately be called, and not even with the employment of a shinui. I guess this is the type of situation when that Shabbos App would come in handy..
And, no, I don't think you are allowed to check Faecbook or email during the long mussaf, between aliyahs, or during the rabbi's speech. I dont know if the above psak applies only to kosher cellphones or if you can carry even non-kosher cellphones. Ask your local Orthodox rabbi. Pat Condell's latest video, Choosing to be Offended, does not have anything to do with Israel, so it does not really belong here. I am posting it because he says something very similar, though far more eloquently to something I said recently, asking why only the Muslims have the right to be offended by things they don't like, to the point where they justify murder, terror, riots and violence by saying someone offended them. As we release our debut single we were conflicted as to whether or not we should delay the release further. Jerusalem’s heart is bleeding. Our thoughts and prayers are with all the victims and families struck by recent horrifying terror attacks. This is a battle of dark vs light. We have to believe in the strength of humanity as difficult as it may be in such dark times. We have no choice but to reach out and to form a coalition with anyone and everyone who seeks light, humanity, compassion and the development of civilization. We must not tolerate violence. What we must do is spread sweetness where there is evil and shine light where there is dark. What we can do is Learn to love more, share more, smile more…be more. This is not a political message. This is a human one. If we fail to reach out to the other, we fail in our humanity. This is our song "Learn to Love”, accompanied by the video, shot in Jerusalem. May joy and light be restored to Jerusalem speedily. We hope this can contribute in some way. It will also be available for the first 24 hours on free download here. this post definitely raises an interesting question. There are calls out, here in Bet Shemesh as the post refers to but also elsewhere around the country including in Haredi enclaves, to stop employing Arabs and to stop supporting stores that continue to employ them. All these people, including many Haredim, are they still going to be makpid about buying only Arab produce and no Jewish produce (hetter mechira and otzar haaretz)? Will the same people now stop supporting the Arab produce industry? Will the same people now stop supporting the Arab terror industry? It is definitely a paradox, to boycott Arab employment but to only buy Arab produce. It is definitely something to think about. Interesting machlokes between the chief rabbis of Israel as a result of yesterday's terrorist attack. Chief Rabbi Yizchak Yosef announced that every shul should try to get armed guards standing at the entrance. As well, until the situation changes, one should give priority to davening in a shul that has security. This has priority under the commandment of guarding yourself. Chief Rabbi Dovid Lau said that we cannot allow it to happen that shuls should have security guards, as they must abroad. People around the country go to shuls and daven and learn, around the clock, and that cannot be allowed to stop because of some bloodthirsty terrorists. The security forces will do their jobs. this new animated clip put out by a Palestinian group tells the Zionists to run away under the threat of terrorist attacks via cars.. Yesterday there were no blog posts, and I apologize for it. One of the people murdered in the terror attack in Jerusalem (Har Nof) was a dear friend. We spent the day with the family supporting them and helping them before, during and after the funeral. Besides for not being online much during the day, there was nothing I wanted to post, considering the situation. And I apologize if the few posts that go up today might be a bit morbid, but that's what is on my mind right now. But life goes on, and we will overcome, and we will get back to normal. Today I have a simcha of a hachnasas sefer torah to attend. That's our lives. We go from mourning to joy, back to mourning, back to joy. We just wish for more joy than mourning. Prices on vegetables might get cheaper, even though it is shmitta year.. The Ministerial Legislative Committee approved a law proposal by which prices of fruit and vegetables will be regulated by the government, a move which is expected to save the average household between 300 and 600 shekels (per month? per year?). Supposedly in the past 6 years, fruit and vegetable prices in Israel have increased by 30%, while the average increase in other countries has been only 12%. The law will be prepared to go before the Knesset for voting. If they regulate prices, I assume it will include prices during the shmitta year. I would also like to see them regulate quality, as the quality of the "yevul nochri" produce is really lousy, and considering it is either the same price as previous years or even more expensive, it is a big loss for the consumer. 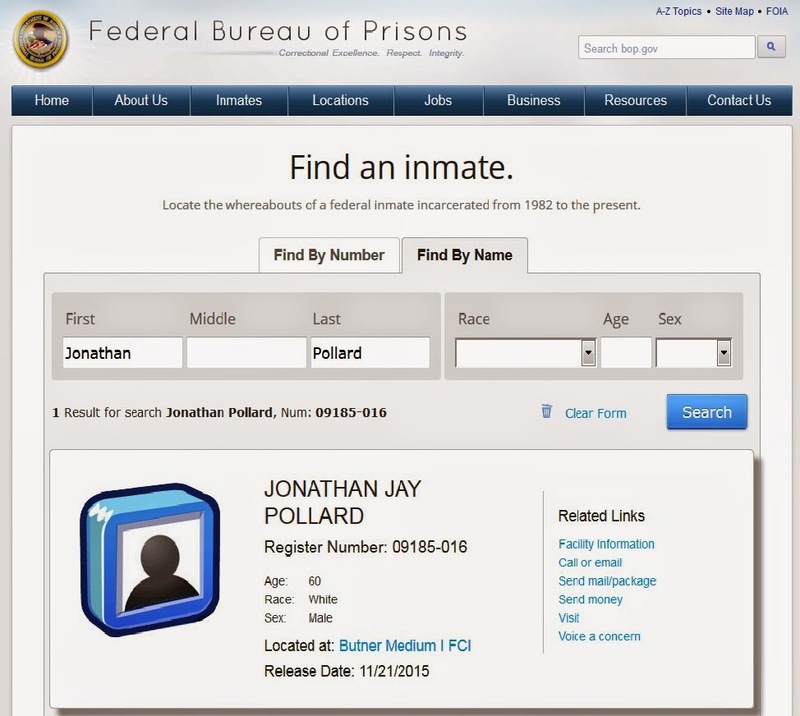 The Federal Bureau of Prisons has finally updated Jonathan Pollard's records with an expected release date. His expected release date is one year from now November 21, 2015. So, even if the president does not pardon him or grant him clemency, he only has one year left. Of course he may not live out the year, he might be knocked off before they let him out, or they can change the date for whatever reason they justify, so it ain't over until it is over, but it looks like it might be over soon enough. That is Yehuda Glick, continuing to recover from the assassination attempt. Glick is getting around now in a wheelchair and, as you can see, is no longer hooked up to medical equipment! The winner of The Voice (Israel) was not Eyal Cohen, but some other guy named Elkana Marciano. When Marciano was announced as the winner, after some initial hugs and celebration, he called out on-stage Shema Yisrael, and then sang his victory song. One needn't be frum to make a kiddush hashem, though his victory song was anything but. At some point of the season finale all the contestants came on stage and were singing and dancing together. Noticeably absent was Eyal Cohen. According to Kikar, Cohen chose, with the approval of the show's producer, to not participate in this event due to the women singing. And it was not just at the end, but it seems he had received special permission throughout the season to not be present when women were singing. It is great that they were so accommodating. I might say that when you see someone is so sincere, as was the impression that Eyal gave over throughout his participation in the show, it really is not all that difficult to be accommodating. I do wonder what would have happened had he won. Would he have discreetly stepped off the stage when the female contestants came out and joined in the singing and celebration? Would he have stayed on - as the winner it would be hard to disappear for a few minutes at that point? I guess we will never know, but I feel confident that whatever he would have chosen to do it would have been done "bneimus ubdarkei noam" - in a pleasant and non-confrontational manner. And that is probably the secret to all those other situations that become such an issue. If things are done sincerely, and with forethought and in a way that is not specifically looking for confrontation, people are generally happy to be accommodating. Iryat Bet Shemesh announced on its Facebook page that the orange recycling bin will soon be coming to Bet Shemesh. The orange bin, as explained in the video below, is meant for the recycling of empty containers. Rumors are swirling with reports in the news about PM Benjamin Netanyahu approaching the Haredi parties with the suggestion of considering the possibility of bringing them into the government coalition in the place of Yesh Atid. 2. Bringing in the Haredi parties would be a godsend for them. They could/would condition it on halting, or reversing, various items in legislation that are seen as directly targeting and harmful to the Haredi community. They would come out big winners, at least with their own constituents. 3. If the Haredi parties agree to go in, they might come out looking very bad. Since the last elections they have been regularly saying that they won't be Netanyahu's life boat. They won't save him, they won't trust him, they won't join his coalition, they won't save him from Lapid, etc. For them to suddenly go back on all that rhetoric and join at the first opportunity, it might be politics as usual, but it might look bad. Their own constituents might not like it either. obviously Tibi's declaration aroused the anger and responses of a number of MKs. My response would be that Tibi, as representative of the Israeli parliament, has announced that Israel is the owner of Har Habayit. If "we" ois Israel, great. If "we" is Palestine or Jordan, then what is he doing serving in the Israeli Knesset? There might be plenty wrong with the Rabbanut that needs to be reformed, but this Ynetnews op-ed by Yizhar Hess looks to be nothing but a hatchet job. Basically, they are upset the wedding halls under the Rabbanut require wine to be either mevushal (cooked, pasteurized) or served by religious Jews (article refers specifically to some sort of a scam where one can pay the Rabbanut extra to send its own wine servers who are yeshiva students in need of some extra money). The rabbinic prohibition against "secular Jews" pouring wine is a real prohibition, not made up by the Rabbanut as Hess claims in his op-ed. That being said, there are many leniencies and qualifications that can be applied - if the person is not entirely secular but keeps some mitzvos, if he is called a "tinok she'nishba", and others. When they can be used, how they can be used, are all matters up for debate and discussion. And, that being said, if a mashgiach or if the Rabbanut is running a scam by which he gets his friends some cash-paying jobs and has a way to charge the family more money in the process, that needs to be stopped. Some official process must be in place for these situations. Rinat and Tom are going to get married this winter. They’ve been living together for three years and all of a sudden they decided that they had to get married right away. (Yes, I asked Rinat if she was pregnant and the answer was no, but she added a "smiley face" to her note, so who knows). Be that as it may, a winter wedding is a challenge. They had dreamed of having a small wedding, but their families were pressuring them to have a more conventional affair, with the fancy hors d’oeuvres and full course meal. The problem is that the fancy places operate only in the summer. In the winter, if you want a more glitzy kind of hall, they were warned, you have to hurry up and reserve it right away. So they’ve been running around like crazy these past few weeks, checking suitable venues. "The food is your affair," they told their parents. "You can decide on the menu, but we’ll choose the alcohol. No need for you to bother about it, okay?" Even though they are students, they know about wine. They found a hall, closed on the deal and, while talking over the menu, announced to the owner, with all due formality, that they would be bringing the wine on their own. Since the catering company has a kashrut certificate, they reassured the owner that they would be purchasing kosher wine, from a winery with supervision by the Chief Rabbinate, not the Conservative Movement, God forbid. "Ah, but that’s not quite all there is to it," the wedding hall owner stammered, averting their gaze. He had had similar conversations with other couples, and he knew that it would be difficult to explain. "The Rabbinate has new regulations," he said. "Because my waiters and barmen are not Shabbat observant, I am only permitted to serve yayin mevushal (pasteurized wine)." "What?" exclaimed the astonished Rinat and Tom. You don’t need to be a sommelier to know that wine that has been pasteurized tastes like a pita that has been defrosted in a microwave oven. "But that’s the way it is," said the venue owner, "they have a monopoly." The Orthodox interpretation of Halacha is very strict about the rules governing wine production. A non-Jew cannot take part in the process. Any winery that has been certified kosher by the Rabbinate is forbidden from employing non-Jews in any function whatsoever that requires coming into contact with the grapes, the barrels, and naturally, the wine itself. Furthermore, Israel’s Rabbinate has added more stringent restrictions and ruled that Jews who do not observe the mitzvot are also considered non-Jews in this context, and are not permitted to touch the wine at any point during the production process. If they do, the winery will not be granted a kashrut certificate. You could be a qualified, professional vintner at a winery such as Carmel Mizrachi or Recanati, circumcised and the son of a Jewish mother, who not only served in an elite IDF unit but also had a bar mitzvah, but if you are secular you cannot touch a single barrel of wine in your winery. The supervisor (mashgiach) appointed by the Rabbinate will follow your every step, making sure that you do not touch anything, deliberately or unintentionally. If you want to taste the wine from one of the barrels – something that vintners do as a matter of course and as part of their professional duties – the mashgiach will have to pour it for you. If you, the vintner or the winery owner, are secular, or a non-Jew, or both, it doesn’t really matter. You are simply disqualified. Racist? Arrogant? Nauseating? Indeed, but so what? Until this monopoly is challenged from without, why should any of this change? Now the madness has filtered into the wedding hall industry. You have two choices, the hall owner explained to Rinat and Tom. Either you serve yayin mevushal (wine that has been cooked, after which, according to Orthodox interpretation, even a Gentile or a secular Jew can serve it to your guests), or pay the Rabbinate to send barmen of their own (at a cost of a few hundred shekels each) and they will send trustworthy Jews, yeshiva students who want to make some money because the allowance they receive is insufficient. They will serve the wine at your affair. Then, and only then, will you be permitted to serve kosher wine that is not pasteurized. By the way, they are not so strict about this in the hotels, the hall owner explained, because they are backed by the strong hotel association lobby. But for us, the caterers and wedding hall owners, they have made the rules more stringent. They also know that the wedding business is a money-making industry. And most of the couples pay, because who wants to serve cooked wine at their wedding? As I said, the Rabbanut mashgichim should not be abusing their positions to squeeze some extra money out of wedding parties to give their buddies some quick cash jobs, but enforcing the halachos of wine supervision is entirely within the purview of their kashrut supervision.